Turn your snap into an artistic piece of art using paintbrush filter. Find out how to get and use Snapchat paintbrush tool on Android and iPhone. Find out also why you do not have the paintbrush tool on your Snapchat app. 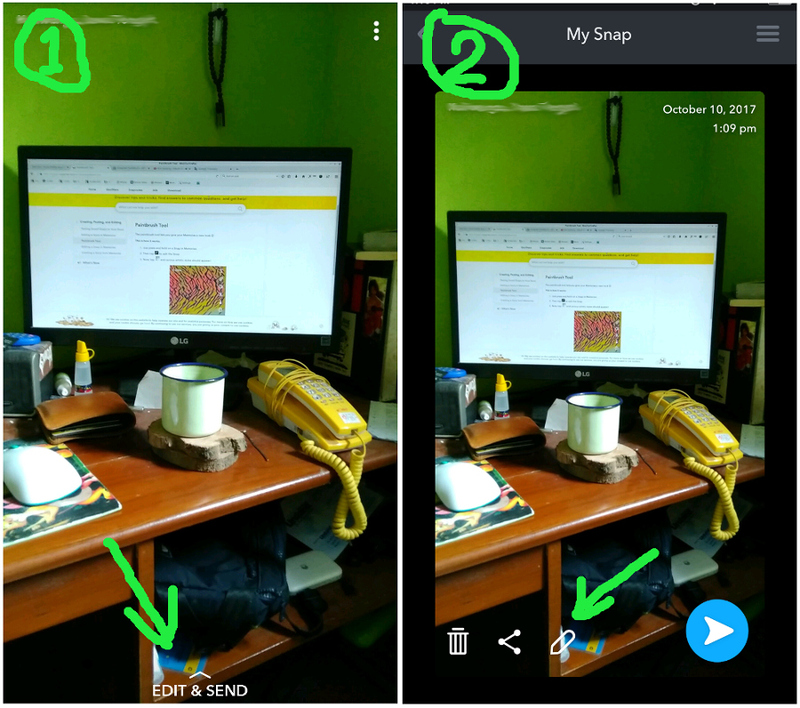 How to get it back if your Snapchat’s paintbrush tool is gone. Snapchat paintbrush tool can give a colorful touch and artistic to your picture. Paintbrush has at least 17 different filters that you can choose to turn your basic photo into an interesting artwork. Snapchat paintbrush tool has a function similar to Prisma. Snapchat paintbrush tool allows you to change your picture into Da Vinci or Picasso painting. 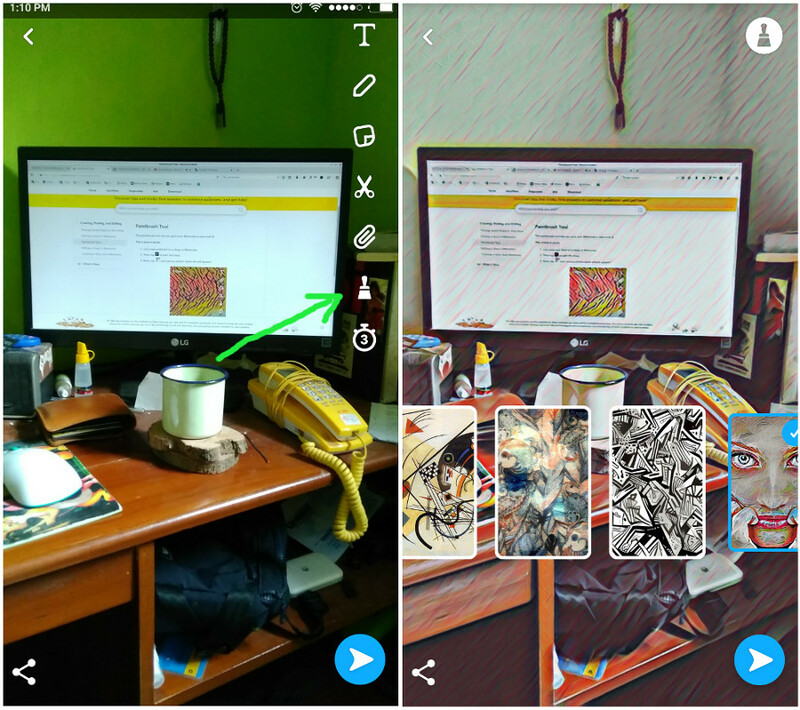 Snapchat paintbrush already available for Android and iPhone, so both devices are compatible for this feature. Snapchat paintbrush only work for saved picture in Memories. If you want to use paintbrush, you must take a picture using your Snapchat app camera, then save it to Memories. Then you will get some creative tool including scissor, paperclip, and paintbrush. Tap the paintbrush tool to try it out. Some paintbrush filters will appear. There are currently 20 paintbrush filters available. Choose the one that you think is the coolest. When you are done, you can send it as a snap, stories, or share it to other social media apps to let your friends know how awesome Snapchat is. But what if you don’t have the paintbrush on snapchat? or it suddenly gone from your Snapchat app. Well, all you need to do to fix it is by updating your Snapchat app to the latest version to get all the latest feature and patch. Go to Google Play Store of Apple App Store to get the update. So that’s how to get and use Snapchat paintbrush tool. Which is your favorite paintbrush filter?